Outlandish Observations: Download the RT Book Reviews article here! 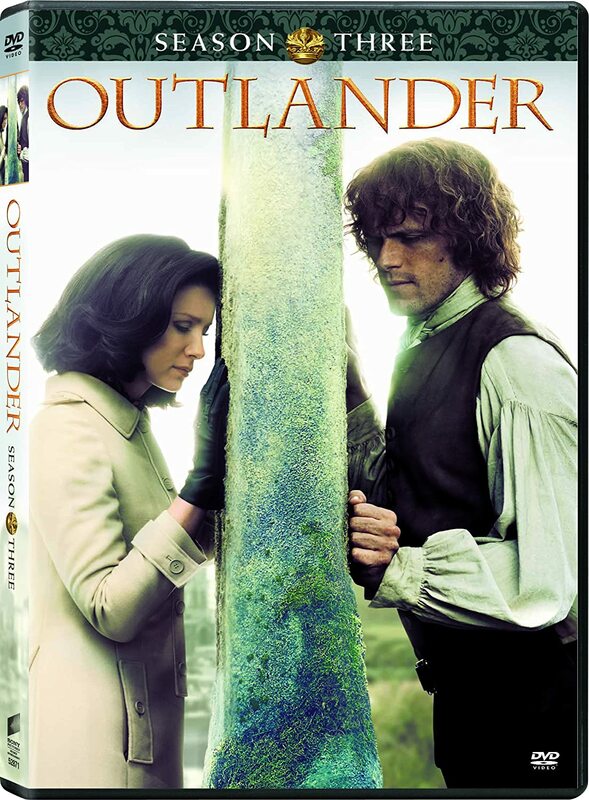 Earlier this week, I wrote to RT Book Reviews magazine asking permission to post a copy of my interview about OUTLANDER online so that all of you can see it. You can post the Web Browser page immediately as long as you [state] that it ran in the July issue of RT Book Reviews magazine and as long as you post the page in its entirety. It would be great if you can link our name to our website. RT Book Reviews owns the copyright which does not expire. 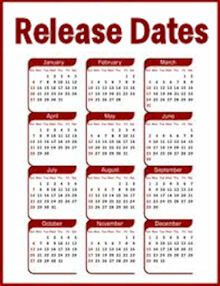 Click here to view or download the PDF file. 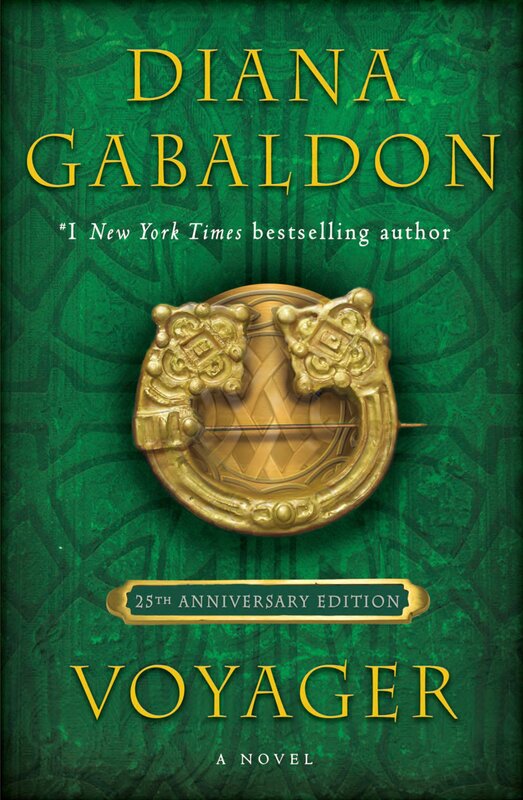 Diana Gabaldon called it "an excellent article", and I'm delighted to be able to share it with all of you. Hope you enjoy it! Very Cool, Karen. Great answers *g* Thanks for sharing the article and for all you're hard work over at the Forum. I would imagine that plenty of new people will give Outlander a shot after reading your interview. Louise - I hope so. Glad you enjoyed the article! Cari - thanks so much <blushing> I was thrilled to be asked, and I'm delighted that the article turned out so well. What a great article and congrats on your 3rd year anniversary!!! 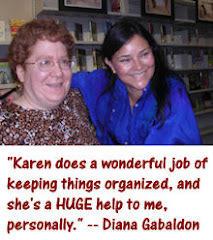 Your Blog is terrific, informative and a great place to catch up on the latest Diana Gabaldon news. Plus you do the most amazing job keeping DG’s Compuserve Board organized and believe me when I say it is wonderful to be able to drop in and find/follow all the current conversations/events easily because it wasn’t like that before you took on this moderating task. You deserve a medal!!! I know I haven’t posted in a long time….but I’m lurking and continue to re-listen to all the audio books (I can’t even count how many times at this point)…while marking off the days until the next book. You were the 1st person I thought of when I heard the news of hurricane Irene (except for Jamie/Claire…hehehe…after all, it was a hurricane that brought them happiness and a chance to start a new life in America). Hope you withstood the storm without any damage…and again congrats on a job well done and continued success!!! Thanks so much for the kind words! I'm really glad you enjoyed the interview. And yes, I came through Irene just fine. We're at least 120 miles inland from where the worst damage was on the NC coast, and all we had was rain and 30-50 mph winds. It could have been a lot worse.